Tuffy Security Products shared some news with us today and we thought we’d pass it along. Here’s what they want you to know. Tuffy Security Products now offers a high security lockbox created to fit under the rear bench seat of 2015 to 2018 Ford F-Series SuperCrew pickup trucks. The Model 344 is the second in the company’s line of lockboxes designed to fit under the 60-percent rear bench seats of crew cab pickups. 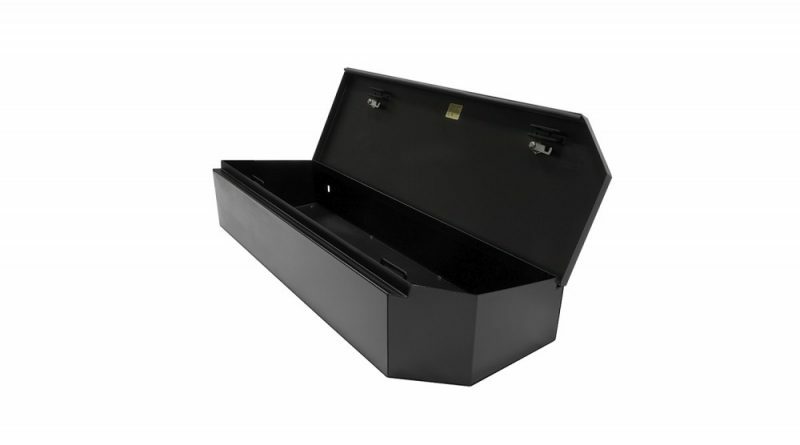 Featuring more than 3,800 cubic inches of lockable storage protected by the company’s patented Pry-Guard locking system and two 10-tumbler double bitted locks, the Model 344 is crafted to be easily hidden under the seats with chamfered corners while also providing plenty of room to store firearms or other valuables. Further protecting the stored items is the 16-gauge steel which comprises the box and an optional three-digit combination lock for keyless entry. 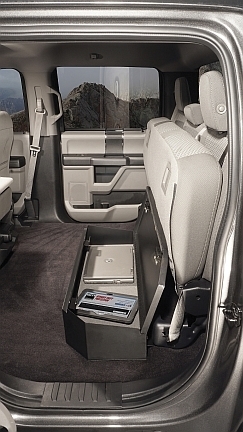 Lockboxes which fit under all three rear seats limit the driver’s ability to haul taller items in the backseat or utilize the optional OEM subwoofer. By creating a lockbox which fits under just two of the seats, Tuffy leaves the rear passenger single seat free to be lifted so taller items can be transported when needed or leave that space available for a subwoofer. Fitting under the driver’s side and middle rear seats of the pickup, the lockbox is secured to the vehicle using the company’s innovative mounting system which is accessed from inside the box itself. Model 344 lockboxes include the mounting system which consists of two 16-gauge steel brackets which attach to the back of the box and extend under the seat to the rear of the vehicle. 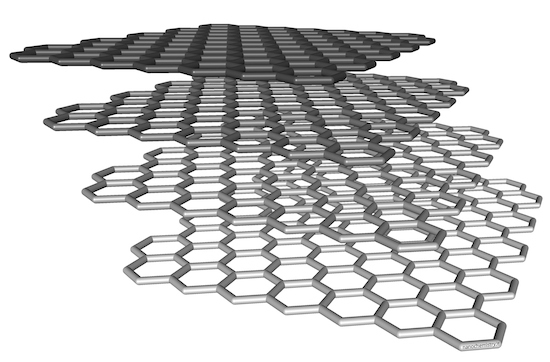 The no-drill installation uses the vehicle’s factory hardware and can be secured to the pickup in under 15 minutes. Simply unlock the box and use the wing knob nuts to install or remove the box. About Tuffy Security Products in their own words. Tuffy Security Products safeguard valuable gear with American-made craftsmanship. The full line of Tuffy security solutions provide premium, superior protection against theft, enable safe cargo management, increase gear accessibility and offer the option of flexible keyless lock-entry for multiple users. Tuffy Security Products is a portfolio company of Kinderhook Industries and a sister company of Bestop, Inc., maker of Jeep and truck soft tops and accessories. For more information, visit Tuffy Security Products’ website at www.tuffyproducts.com.